The Suez Crisis comprised of an invasion by Israel of Egypt in late 1956, Britain and France soon followed in this invasion. The aim of the invasion was to regain the Suez Canal and have it under Western control and also to remove Gamal Abdel Nasser (the Egyptian President) from power. Following the start of the fighting, the Soviet Union, the United Nations and the United States got involved and forced Israel, France, and Britain to withdraw. This left France and Britain humiliated and served to further strengthen the position of Nasser. On October 29th the Egyptian Sinai was invaded by Israel. France and Britain jointly issued an ultimatum, which was ignored, to cease fire. 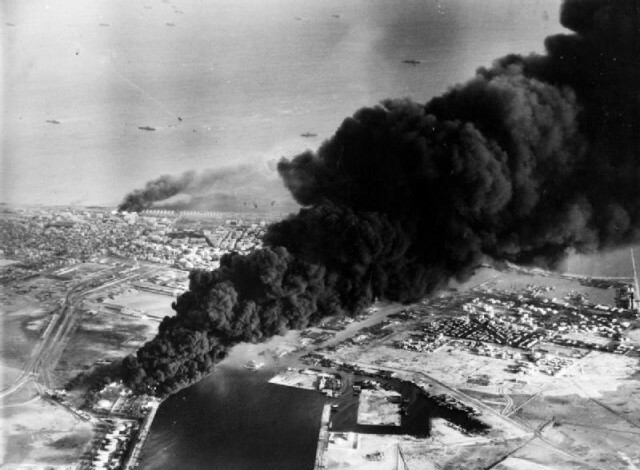 On November 5th France and Britain then landed paratroopers all along the sides of the Suez Canal. The Egyptians were beaten, but they managed to block the canal from any shipping activity. It soon became clear that the invasion by the Israelis and the Anglo-French troops had been planned in advance. The three allies had managed to achieve some of their objectives, however, the Canal was now useless to them and the United States and the Soviet Union pressured them into withdrawing. President Dwight D. Eisenhower (United States) had previously warned Great Britain not to invade Egypt, and now he threatened to seriously damage the British financial system via sanctions. Historians have come to the conclusion that the crisis ‘signified the end of Great Britain’s role as one of the major powers’ In 2012 Pedan says ‘The Suez crisis is widely believed to have contributed significantly to Britain’s decline as a world power’. From October 1956 through to March 1957 the Suez Canal remained closed. Israel did manage however to obtain the freedom of navigation via the Straits of Tiran. Following this conflict, the UN (United Nations) decided to create the UNEF Peacekeeping mission in order to police the border of Egypt-Israel. Anthony Eden (British Prime Minister) resigned, and Lester Pearson (Canadian Minister of External Affairs) won a Nobel Peace Prize.